JAPAN/KOREA: Mixed results for major consumer electronics companies | What Hi-Fi? 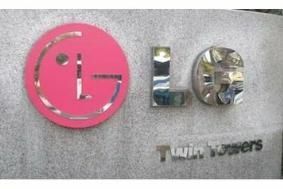 But the 126.2bn won (£68m) operating profit LG as a whole reported for April-June is put into context by the results announced by Samsung Electronics – it showed a net profit of 4.28tn won (£2.3bn), up 83% year on year, on sales of 37.98tn won (£20.4bn). More good news from Samsung comes from the USA, where the company has dominant market shares in most sectors of the TV market, and expects to enjoy its fifth year as the biggest-selling TV brand. Samsung has a 46% US market share in 40in+ LCD TVs, 43% in Full HD sets, just short of half the 120Hz/240Hz LCD market, and 43% of the 50in+ plasma market.